After spontaneous fermentation (alcoholic and malolactic) and a minimalistic approach in the winery, this wine was aged in old 225L French oak for 10 months and shows a reserved citrus freshness of lemon and lime, plenty of apricot fruit and subtle fynbos spice on the nose. An attractive oily texture is my highlight of this 2017 vintage with a lingering and elegantly structured finish on the palate. This is a great food wine and would drink well for 5+ years to come. 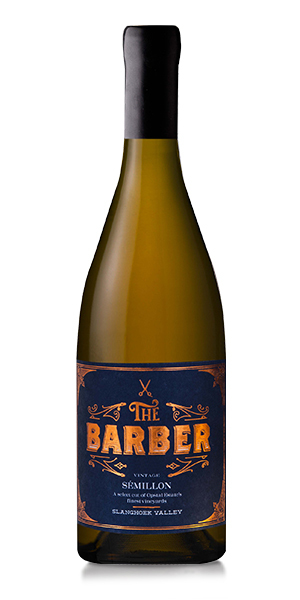 Notify me when The Barber Sémillon 2017 x 6 The Barber Smillon 2017 x 6 is available.